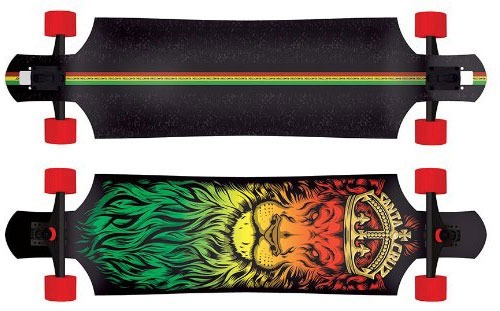 Today we’ll take care of show you the best freeride longboards on the marketplace and them respective descriptions. First, what exactly is the free ride style and how to difference a freeride longboard from the others? The freeride style is the combination of the downhill and the freestyle longboarding that surge when you mix some tricks in the moment of going downhill. Although this style is similar to the original downhill it is a totally new style because all involves to try different tricks, slides, spins and use your creativity along the speed and coordination that the downhill style needs. In order to difference a longboard that has been created especially to practice freeride you need to put your eyes on the length of the board first. A freeride longboard usually don’t will exceed the 42 inches because if the board is too long make all the tricks will be more difficult for you. Although the length of the board isn’t all you need to see if it is for freeride or not, most riders claim that is the main factor. What Kind of Boards Are More Suitable For Freeriding? The experts highly recommend to using drop-through longboards, which usually are shorter. Any board between 38 and 42 inches in length and 8 and 10.5 inches in width is perfect to practice freeriding. The trucks also are important. You need to verify that the trucks that you will use are strong and resistant to the sharp spins, but also suits with the proportions of your longboard. The most recommended is use trucks with an angle of 50-52 degrees on its base in order to get better slides, but if you’re looking for stability the best is to use trucks with an angle of 40-45 degrees on its base. And about the wheels, most riders recommend to using medium or small sizes for more stability, but it really depends on your own comfort. 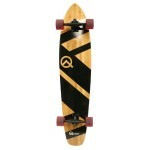 With its 38.75 inches in length and 9.75 inches in width, this drop-through longboard is perfect to practice freeriding with a lot of stability, a nice experience and a lot of fun. The carve corners of the board helps to eliminate the wheel bite and get more speed and stability at the moment of ride. 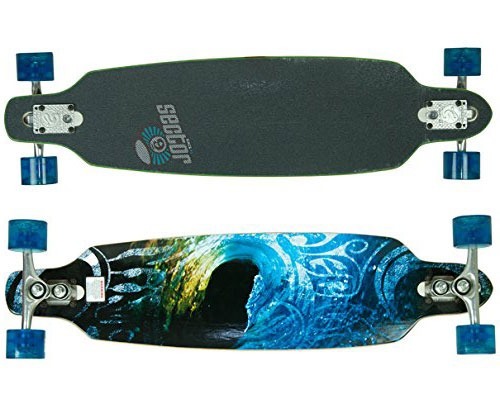 The Landyachtz isn’t the most economic longboard on the marketplace, but this is one of the boards that really worth it. Sector 9, as one of the best brands of the history of longboarding, still making a good work with the Sector 9 Aperture Sidewinder. With 36 inches in length and 9 inches in width, this board is designed to keep you smiling and sliding for hours. This board, with 40 inches in length and 10 in width, is totally designed to give you the best experience at the moment of doing freeride. 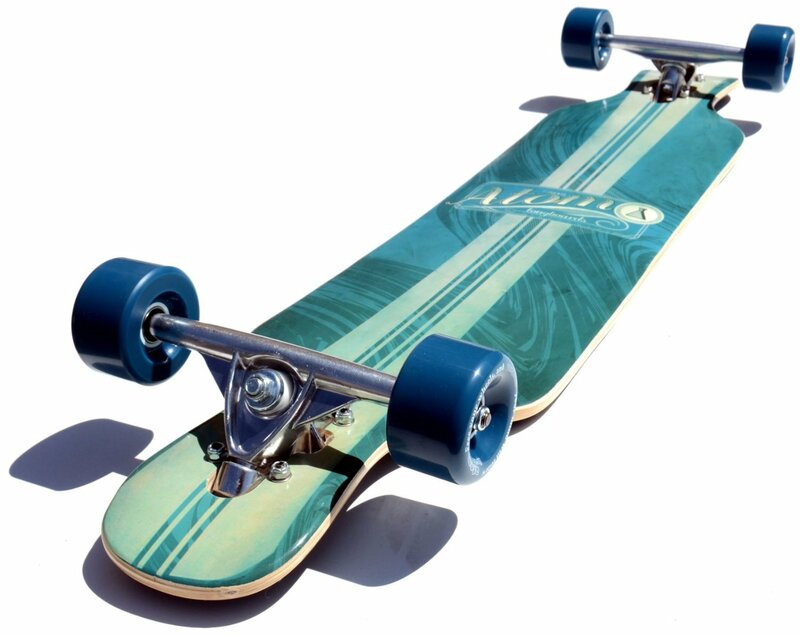 Its perfect cutouts give it a beautiful style and the cambered platform of this board give it more flexibility. 40 Inches in length and 10 in width. This drop-through designed longboard is especially designed for freeriding and some skaters claim that it have one of the most authentic graphics, so if you’re the type of riders that enjoy the graphic, this board is perfect for you. The beautiful Arbor Axis Artist has an original and non-repetitive look because this board was inspired from the original design of a snowboard and its drop-through mounting give you the best experience at the moment of making a slide. This board has 40 inches in length and 8.80 in width. Based on those proportions, features, uniqueness and quality, those are the best freeride longboards on the current marketplace. You can use almost any board for freeriding, but if you want to do it correctly, with more ease and with more flowing we recommend you that follow the longboard specifications that we discuss on this article. In some cases the proportions of the boards can vary for a couple of inches. 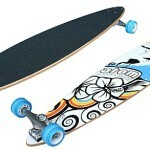 For example, there are some longboards with 37 or 36 inches and still being good for freeriding. The most important factor when it comes freeride style is that you find a longboard that suits well with your body and you feel comfortable with it.